411.ca Let us put you in touch! Official Website of the City of Toronto. Great link to the city of Vaughan. Available in several languages. Helpful link full of information on bus routes, schedules, fares and much more. Get directions and maps to anywhere in North America! Moving? Quick link to change your address, right here on-line. Postal code information. Moving? Change your drivers licence! Information on Private Schools and School Directory. The Toronto District School Board serves almost 1.6 million electors of the City of Toronto. They are the largest school Board in Canada and among the largest in North America. Quick link to information, locations to public schooling in the York Region. Quick link for moving information and how to change your Bell telephone services. Want to see homes faster? Quick link to see all the service Rogers has to offer. High Speed to make your surfing quicker. The Official website of the Toronto Raptors! Learn all about the Raptors. Even bid on auction items! Can't find what you are looking for? Please feel free to contact us via telephone or e-mail at any time and we will be pleased to help you with your real estate needs. Are you considering selling a property? Your Home For Sale For Guaranteed Proven Results! Selling a property in Woodbridge, Vaughan, Nobleton, Kleinburg, York Region, and the GTA? We have qualified buyers in the GTA. Call The Avanti Team before listing your home. We Can Sell Your Home Fast and For Top $$$! 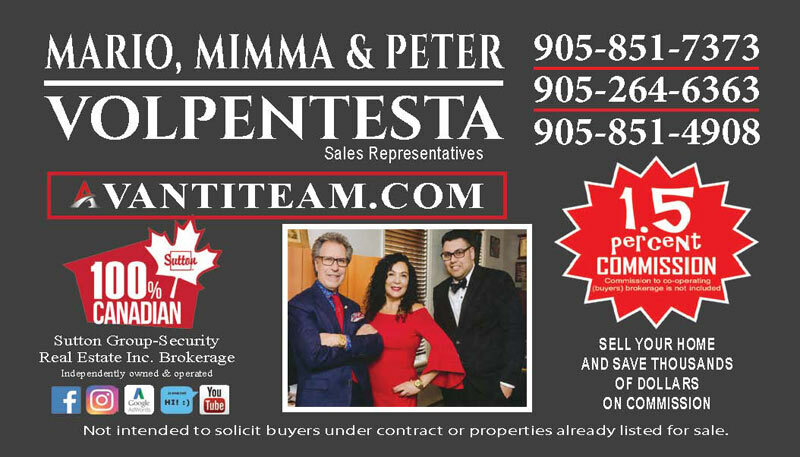 AvantiTeam.com offers powerful real estate tools for people looking to sell or buy Vaughan real estate, Woodbridge real estate, Kleinburg real estate, Thornhill real estate, Maple real estate, Nobleton real estate, and Toronto real estate. This real estate website allows you to search the MLS for Vaughan, Canada homes for sale, access Vaughan, Canada real estate and community information and learn about home sale trends in Vaughan, Canada.